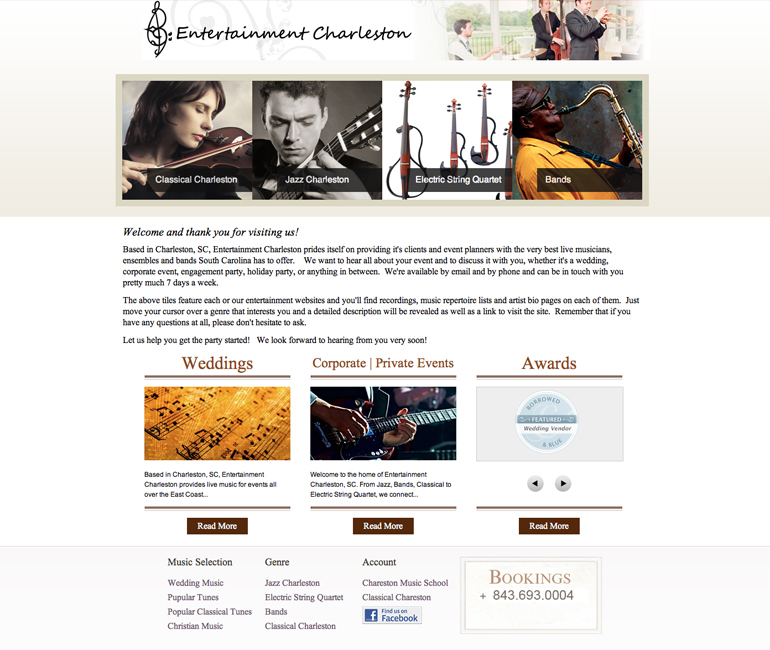 Entertainment Charleston - Ellev - The Best Full-Service, Award-Winning Ad Agency in the Carolinas! 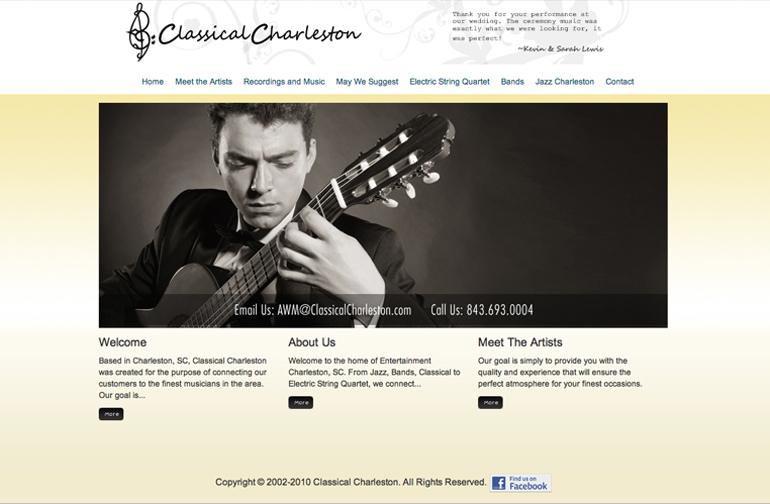 Working on the Entertainment Charleston website has been a very big and challenging job, but we were very excited to tackle it as they are very well known and provide all types of live music for the Charleston area. 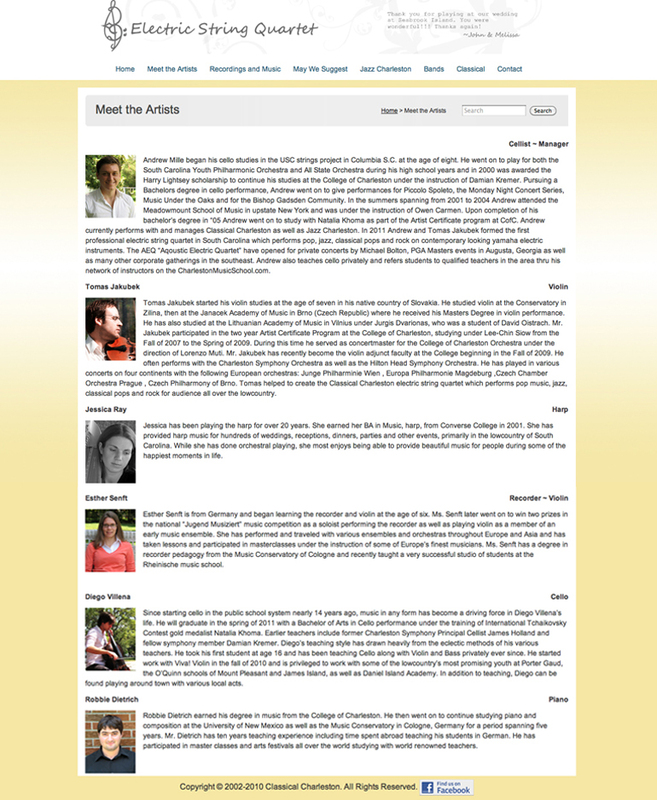 The site consisted of one main landing page which is pictured here along with four other connecting sites. 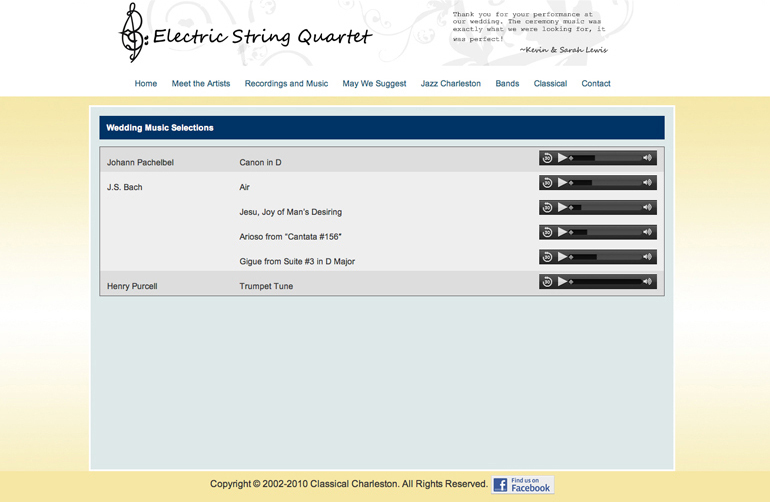 This website included a musician login section where they can view their upcoming calendar as well as other additional info. This project is as technical as it is beautiful. One of the gems in our web work crown!